With the captain's mind in shambles, Jon and Tom set out to find the passage home through the black mountain range, hoping to find a cure for Baltsaros's madness. However, when the men are forced to part ways, darkness takes root in the schism created; fate, lust, and vengeance become obsessions threatening to tear apart the fragile bonds holding the three together. 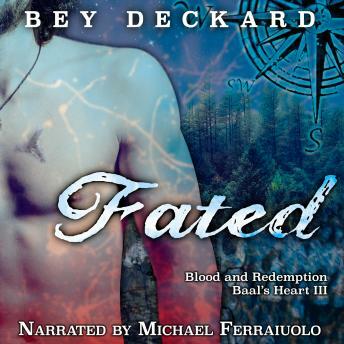 Following on the heels of Sacrificed, Fated takes the pirates on a quest to find those responsible for the captain's bloody beginnings. But can they survive what awaits them where past and present meet?